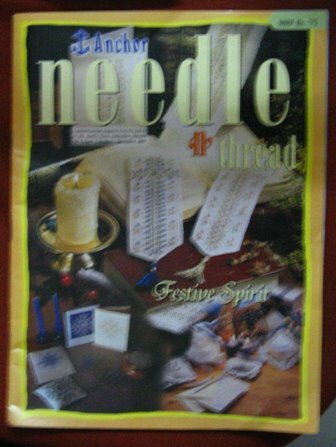 Home / Indian needlework magazine! 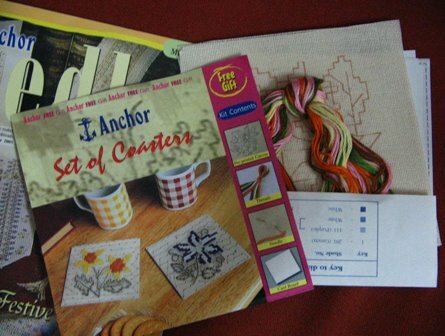 By courier yesterday evening, I got my first copy of the Anchor Needle N Magazine, which is from Coats India and features all Indian content. You can subscribe for Rs 225 per year and the magazine is quarterly, so you get an issue every 3 months. I got my subscription form from Viji in Chennai, and was very thrilled to get my first copy! I’m quite pleased at the overall content (several different types of needlework & embroidery) and the mail order pages. Nice! Apparently you cannot buy this magazine on the stands, which might explain why I’ve never seen it before. I wonder if there are any more such hiding somewhere? On the crochet front, this magazine has a filet curtain pattern.